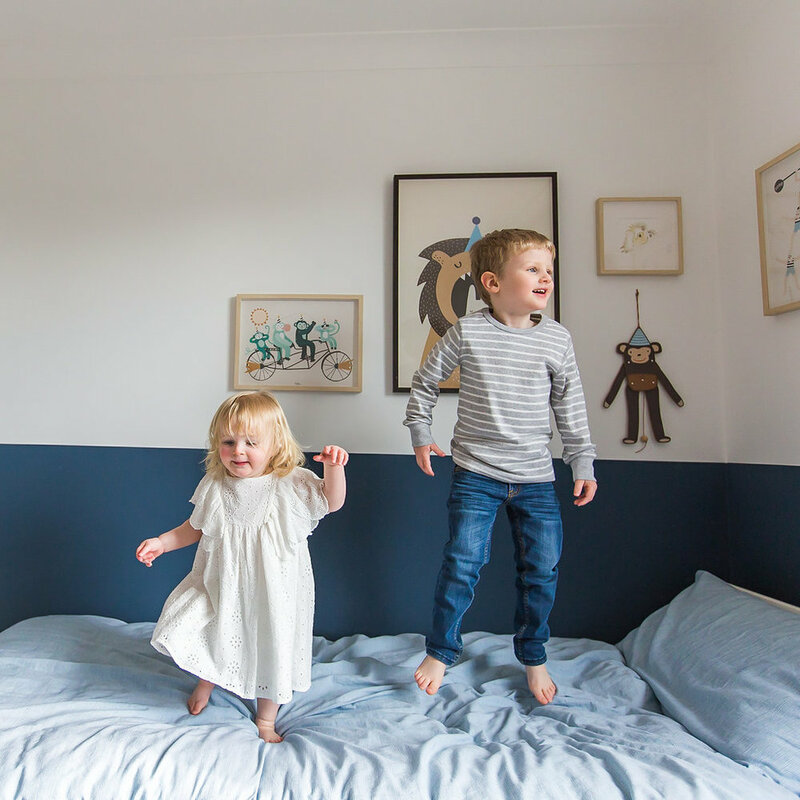 The IKEA Kallax (Expedit) shelving range makes its way into many children's bedrooms and playrooms, and for very good reasons. 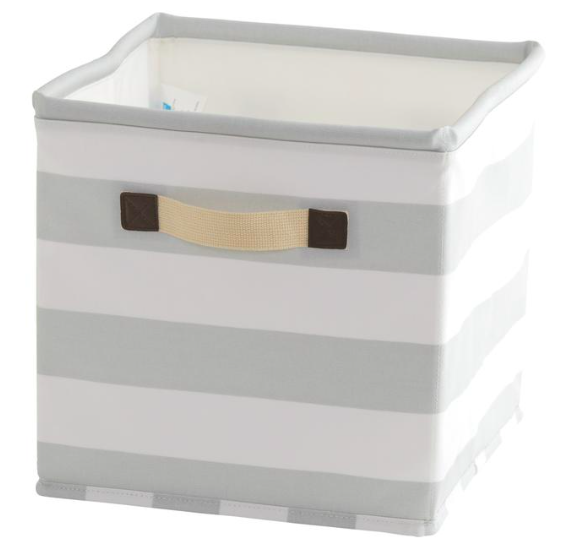 It's extremely affordable, flexible storage, and given that most parents are looking to conceal brightly coloured toys, the endless options for boxes, baskets and doors do just that. 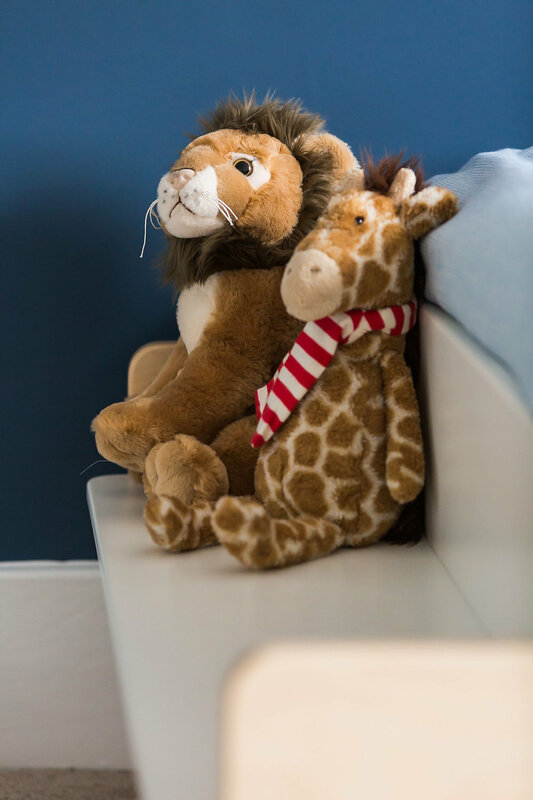 Often, when I visit a client for the first time, one of the most common things I see is a long furry line-up of brightly coloured friends along the entire length of the child's bed. It's one of parents' pet hates and near the top of their list for solving. Don't get me wrong, I'm not completely heartless and I realise how attached kids get to their cuddly toys and comforters, but I do think one or two is sufficient for the bed and there are plenty of alternative and fun ways to store the rest. In Thomas' room, I opted for a bed with a built-in bench at the end which is the perfect spot for a select few of his friends to hang out. The rest are tucked away in storage bags and are allowed out on rotation! In Georgia's room, I've used a dolls' crib to store her cuddly toys. It's getting a little cosy now, but keeps them all in one place where she can easily access them and it encourages her to tidy them up at the end of the day as "we put them to bed" before she gets into her own cot. Whilst shelving is of course an option, I feel like we're just shifting the problem from the bed to the shelves, so unless it's a couple of well chosen toys mixed in with other decor, I'm not convinced it's the answer. However, if you really don't mind them all being on display and just want a place for them to be put away at the end of the day there are plenty of options, ranging from toy hammocks, to swings and even dedicated soft toy zoos. Personally, I'm just not convinced that they all need to be on display, all of the time, but if that doesn't bother you or you have a very tasteful collection then they're definitely worth considering. Floor space is often incredibly tight in children's rooms, and it's wise to make the most of any unused wall space. 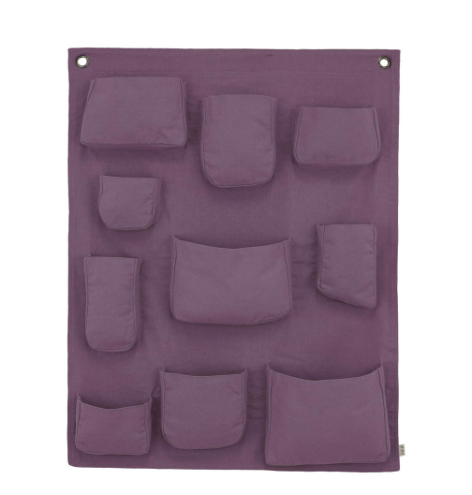 These wall bars by Kaos are a great idea for storage, take up very little space and the bars are perfect for favourite cuddly toys to be tucked behind with the others hidden in fabric bags. I wouldn't suggest these for a younger child's room as there's always a temptation they'll try to climb them, but use your own judgement here. A similar idea to make use of unused wall space would be to use hanging wall pockets to display a few favourites. Numero 74, Ferm Living and 3 Sprouts are all good options. 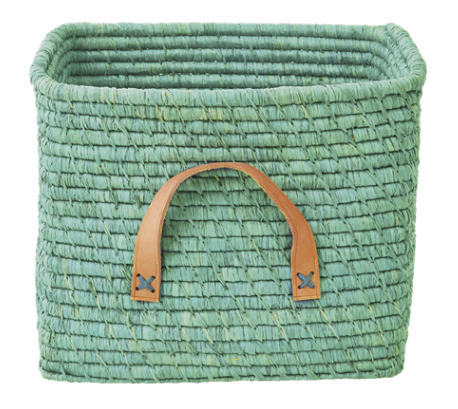 One of my go-to brands for storage bags is Tell Kiddo. 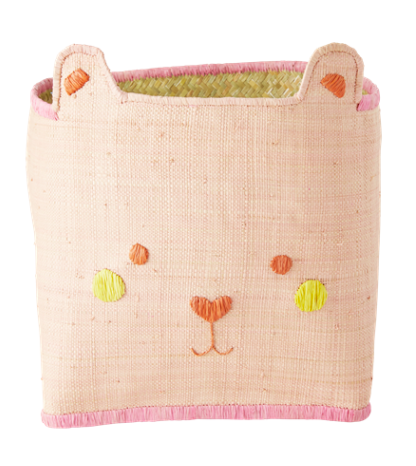 They have a range of natural coloured paper and fabric bags. Not only are they brilliant quality, the bold typography and bear faces add an adorable touch to kids rooms. 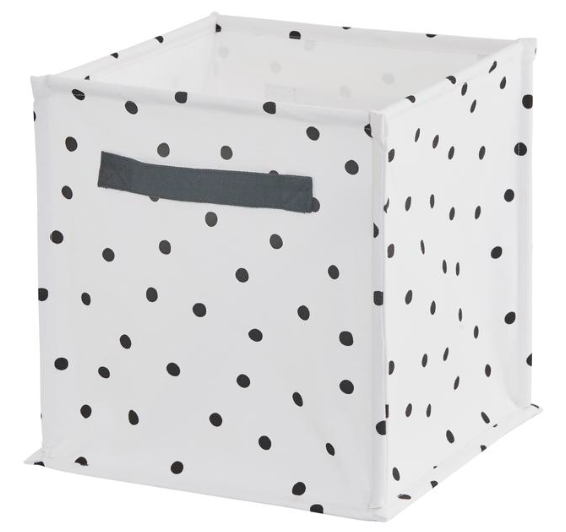 Another excellent choice for fabric storage bags is Wildfire Teepees, whose bags are also very sturdy, and again come in various monochrome patterns. 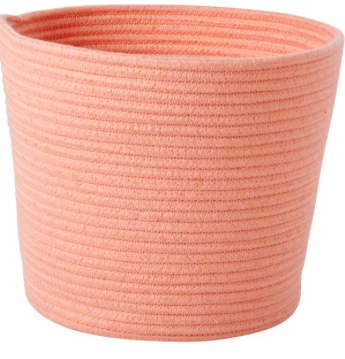 Incidentally, I also use one of these for my children's laundry. 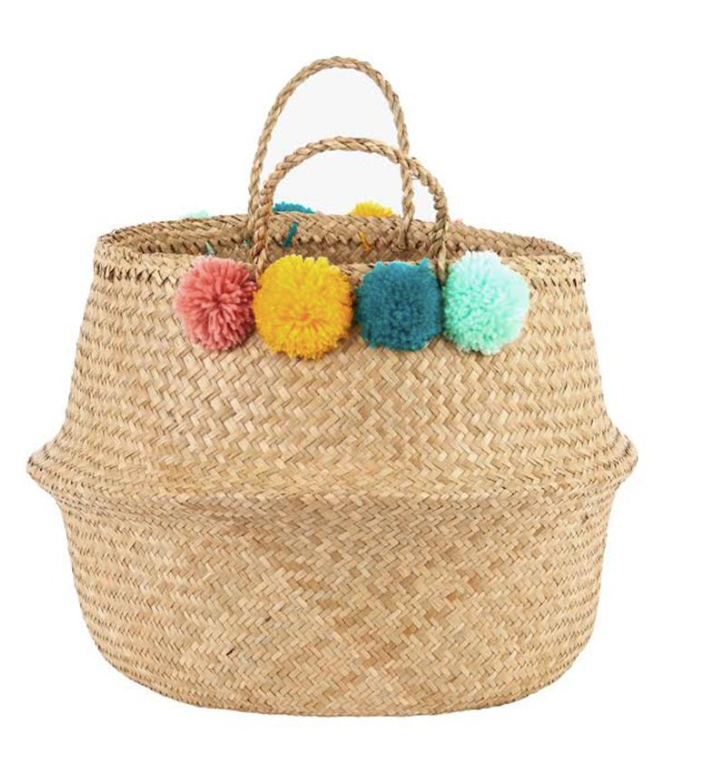 You will already know by now that I'm a huge fan of baskets for toy storage and it's no different when it comes to cuddly toys. I absolutely love this idea of hanging them from wall hooks so the toys are all still accessible, but not cluttering the floor or surfaces. 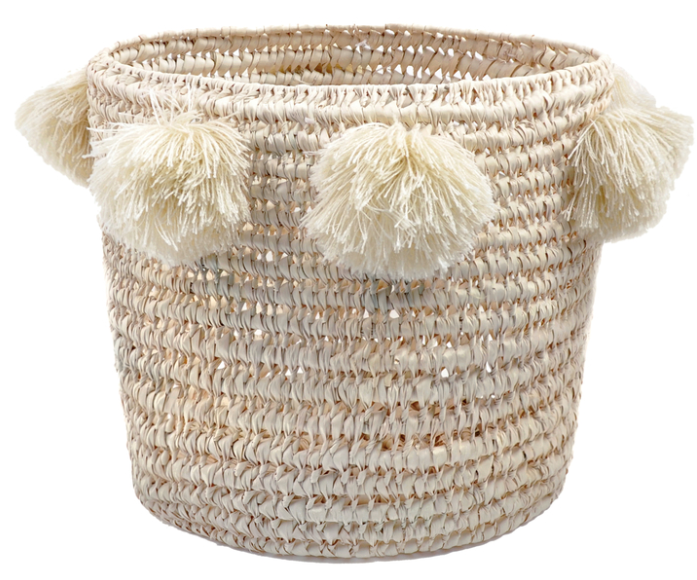 The Ferm Living wire baskets are another great option for cuddly toys, I recently used one in a little client's room for her extensive cuddly toy collection, together with the lid which she can use as an extra play surface for drawing and puzzles. 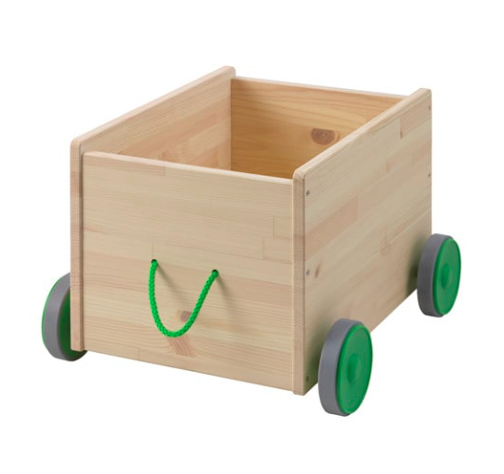 Storage crates on wheels are brilliant for kids rooms, and can also be used to encourage tidying-up by making it a little more fun. 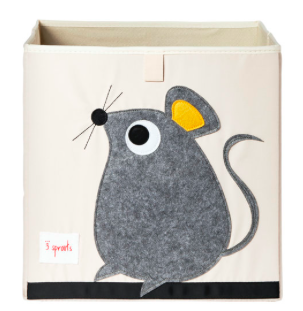 We have the Ooh Noo storage crate in Thomas' room for all his books but it would be equally great for soft toys, and IKEA do a very similar version. 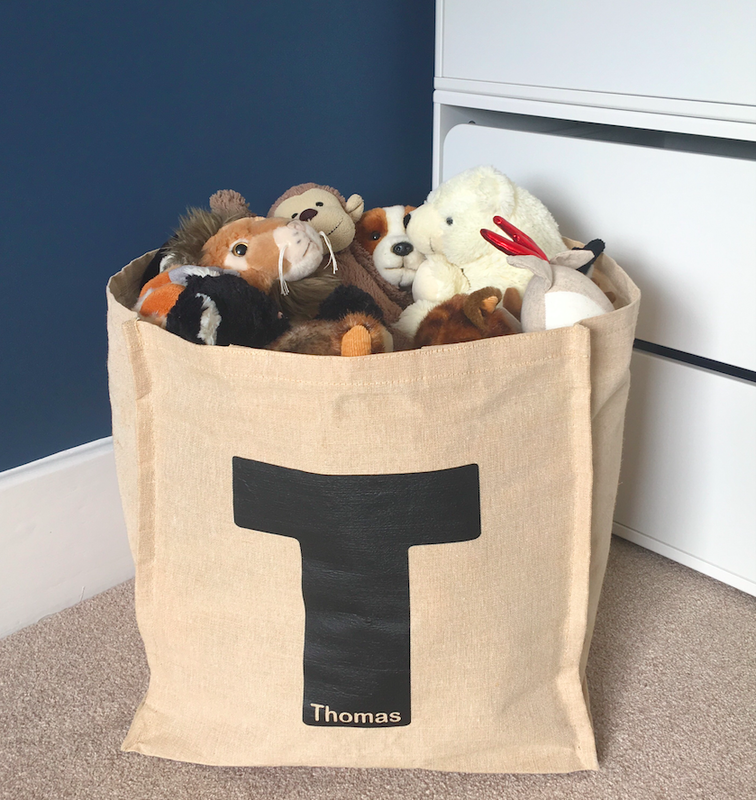 Last but not least, consider using a large metal or woven lidded storage trunk which have lots of space but can fully conceal even the brightest of cuddly toys. 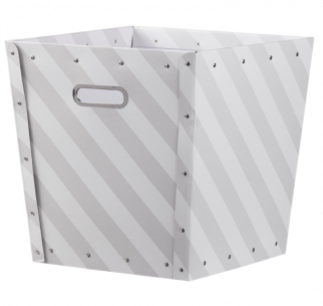 These examples are all from Habitat and would also make stylish dressing-up boxes. Hopefully this has given you lots of new storage ideas, and a little extra wriggle space in the bed for your little ones. Let me know if you have any other great ideas, I'd love to hear them. Looking back, one of the biggest and most costly mistakes we made when planning his nursery was to head straight to one of the large baby superstores where we bought a co-ordinating set of cot bed, changing unit and wardrobe. We felt like we were getting such a great deal as the furniture was heavily discounted if we bought all 3 pieces, and it ticked off 3 of the big ticket items on our list of things to buy before baby arrived. 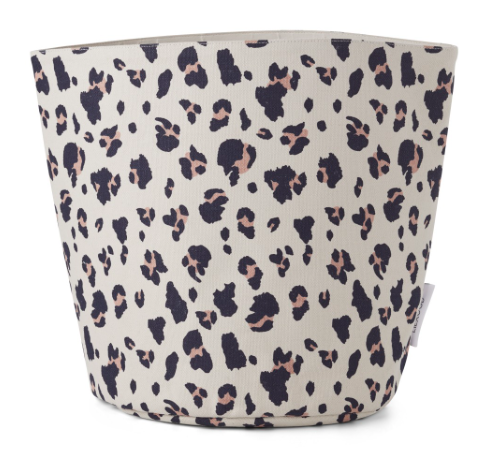 This wasn't one of our best interiors decisions and we could definitely have spent our money a lot more wisely. 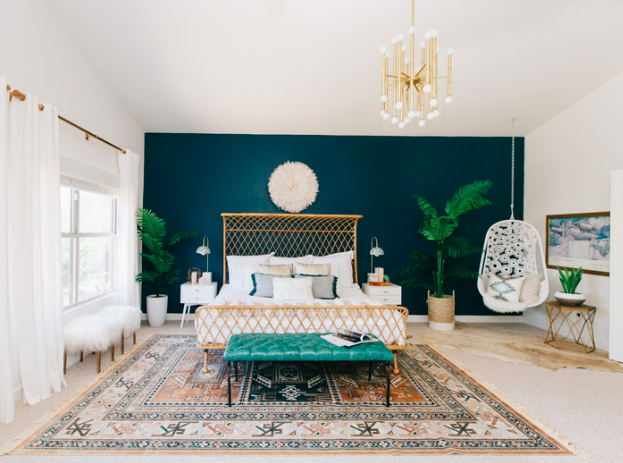 The nursery furniture sets are typically large, ugly, boxy items of furniture and there are some much nicer alternatives out there. 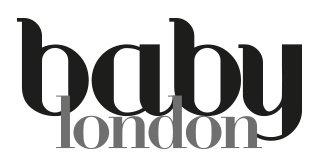 So with the benefit of hindsight, and now with many rooms designs under my belt here are my thoughts on how to go about planning baby's first space. When planning a nursery, of course your baby will need somewhere to sleep. However, for their first 4-6 months they will most likely be in a smaller Moses basket or bedside crib in your own bedroom so the cot bed isn't a time critical purchase and you can take your time working out your style before you commit to purchasing it. 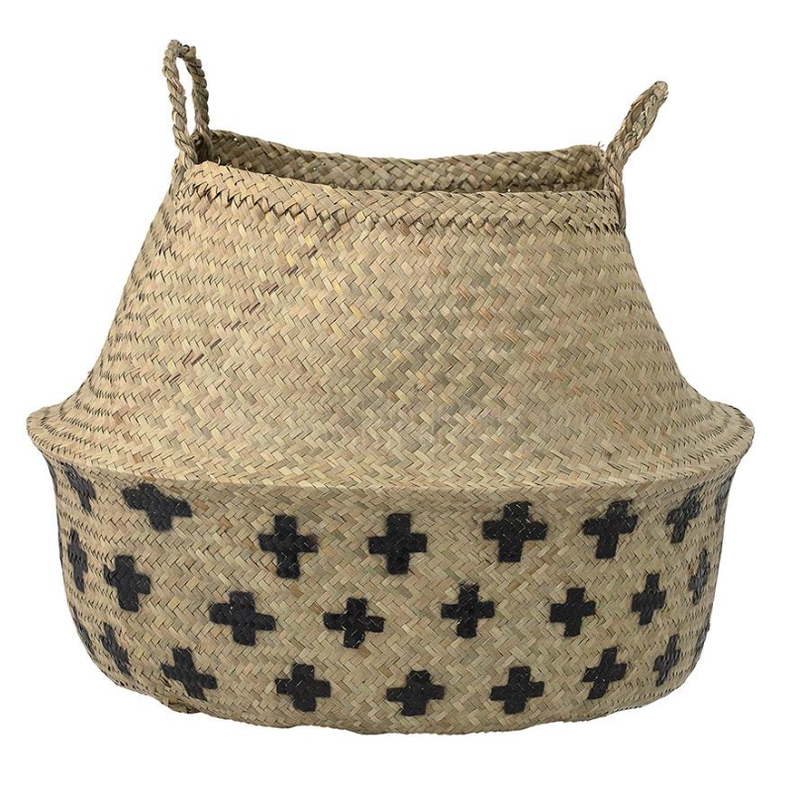 A newborn would feel rather lost in a large cot bed after being tucked inside your tummy for 9 months so to begin with, I would suggest investing in a beautiful Moses basket and stand, which won't take up too much space in your master bedroom, and will provide a cosy space for baby to spend their first few months. It also has the advantage of being easily carried around the house so if baby will only sleep with you in close proximity you can move it around and still get on with things whilst baby snoozes. Add some striking wall art, black and white photographs of the family (babies love faces!) or a mobile for baby to look at and you're all sorted for your first few months. 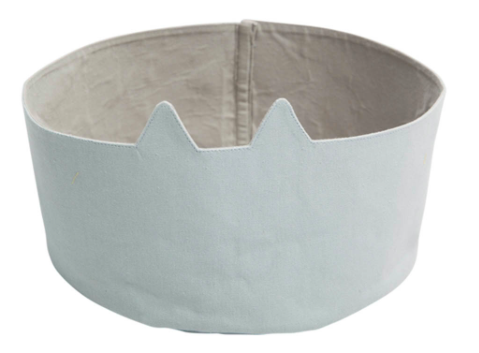 Once your baby is ready to move into a cot bed, there are plenty of affordable and stylish choices. Personally I don't think you can go too far wrong with the IKEA Sniglar which is now available in two sizes, cot 60x120cm for smaller spaces or cot bed size 70x140cm. 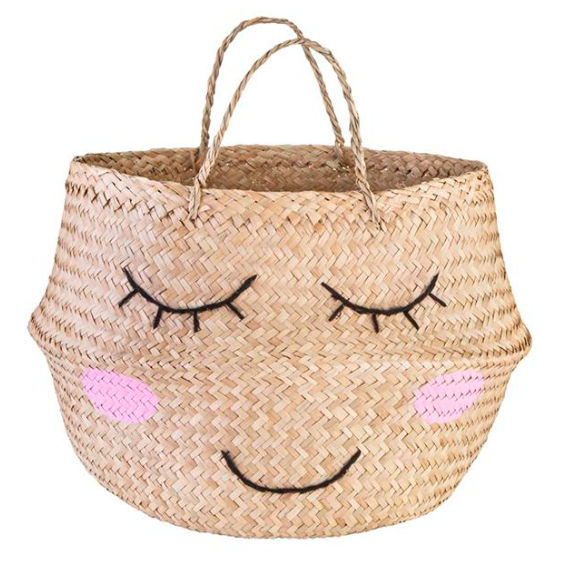 Unless you're blessed with an enormous master bedroom suite, squeezing in a Moses basket or small bedside crib and a chair is usually difficult enough without then having to find space for all the other baby essentials. We actually moved our own chest of drawers with all our clothes in it into the spare room to make space for a changing unit but this was totally unnecessary. We could just as easily have managed with a changing mat and a couple of pretty baskets for nappies, wipes, spare onesies and muslins. Before having children, I massively underestimated the amount of space I would need for clothes storage. They may be tiny but they grow ridiculously quickly and we found we were (very kindly) inundated with new clothes and hand-me-downs in bigger sizes by friends and family which I also needed to find space for. If you're tight on space in baby's room, I would always recommend a chest of drawers over a wardrobe and if you have enough space a nice wide one is perfect. Not only does it provide lots of storage space, it also means that their clothes are easily accessible once your child is ready to dress themselves. 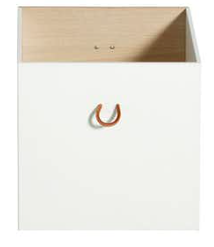 The majority of children's clothes can be stored in drawers, and if you have some items that need hanging they can either go into your wardrobe or displayed on a hanging rail or on wall hooks. Last but not least don't forget to consider your lighting. I'll be doing a blog post on lighting very soon, but my tip would be to always look for something that's dimmable so you can adjust the level of light as required. You'll want slightly brighter light for reading stories and changing baby, and something a lot darker for nighttime feeds and cuddles. I'd love to hear if you have any other must-haves for your baby's first room or if you have any questions that I can help with.